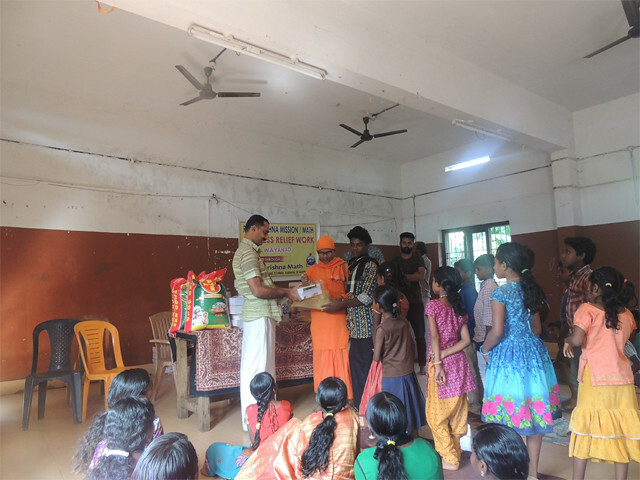 Ramakrishna Math, Koyilandy undertook the relief work of Mattilayam village in Wayanad district, Kerala on 17th December, 2017. 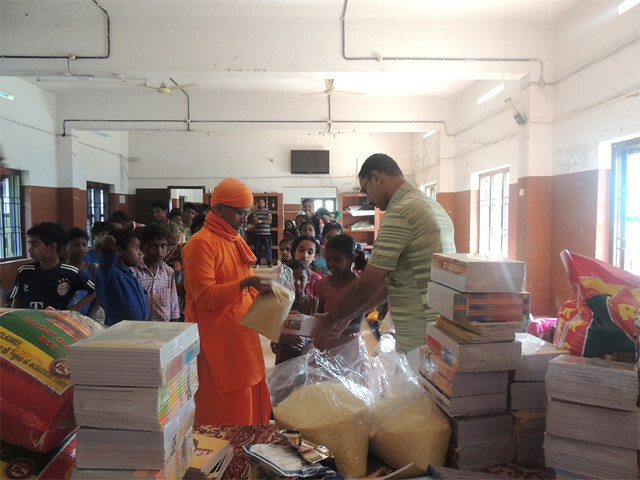 It is exactly situated in Mountain range 3000 feets height from the sea level. 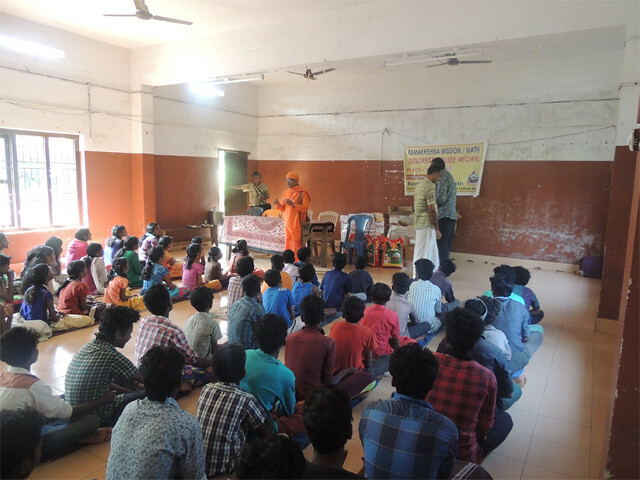 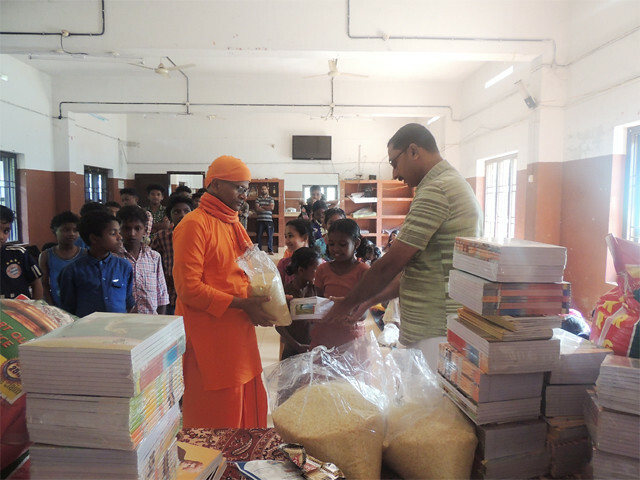 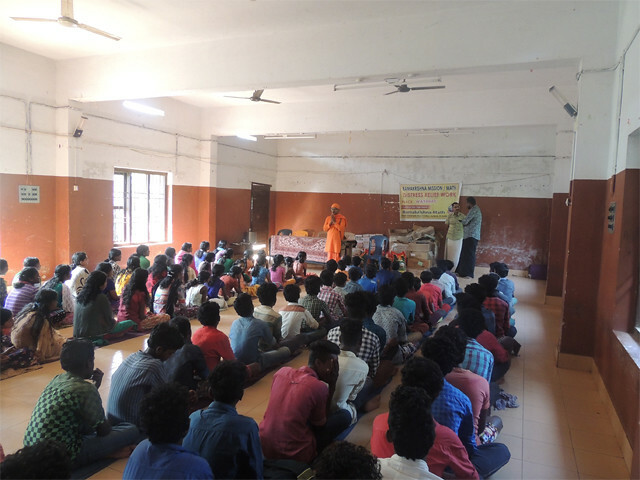 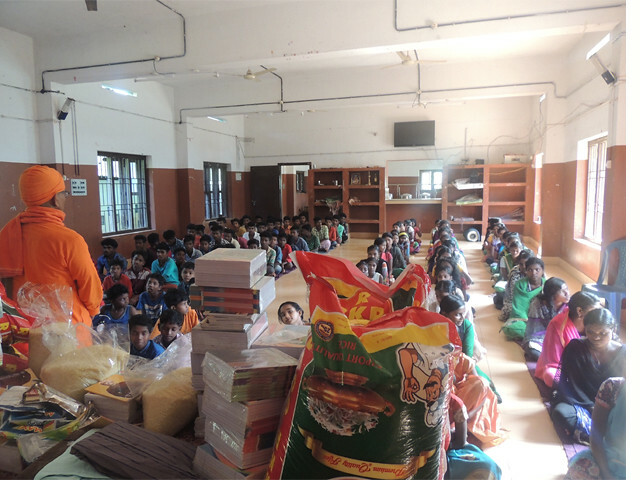 215 kg rice , 1802 notebooks and 430 Books of Swamijis were distributed among 215 tribal students.